A Luxation is a term that relates to a joint dislocation. 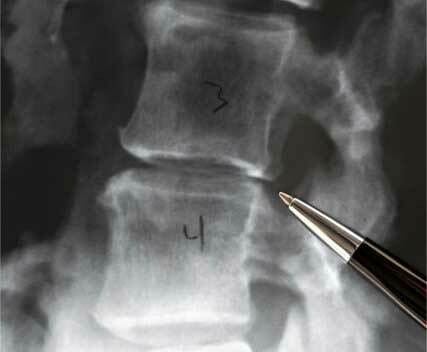 When this happens in the spine, a vertebra is forced out of alignment. At a minimum, this will cause a Spinal Bulge, though as this is an extreme condition, the damage to an intervertebral disc could well be much worse. The Lumbar region of the Spine is most susceptible to luxations. In particular the L3 and L5 (lumbar3 & lumbar 5) are the most likely candidates for dislocation. The pain experienced from a luxation can be excruciating and debilitating with numerous side effects. If you are unfortunate enough to be suffering from a luxation, I can help you. Using my unique treatment programme, I can firstly help you with the pain and then continue to carry out a full diagnostic hands on massage technique. This will allow me to fully understand the the realignment you require and make any necessary adjustments. This is a treatment method I have developed over many years and yields great success. See what my other patients say.